Tapestry Largo Station – christopher consultants, ltd.
christopher consultants provided full-service civil engineering, site planning and landscape architecture services for Tapestry Largo Station, a new multi-family residential development located in Largo, Maryland. christopher worked on the site from preliminary engineering through final construction. Services included stormwater management and best management practices, construction administration, hardscaping, and layout of an outdoor swimming pool. christopher also performed surveying services including construction stakeout and topographic surveys. 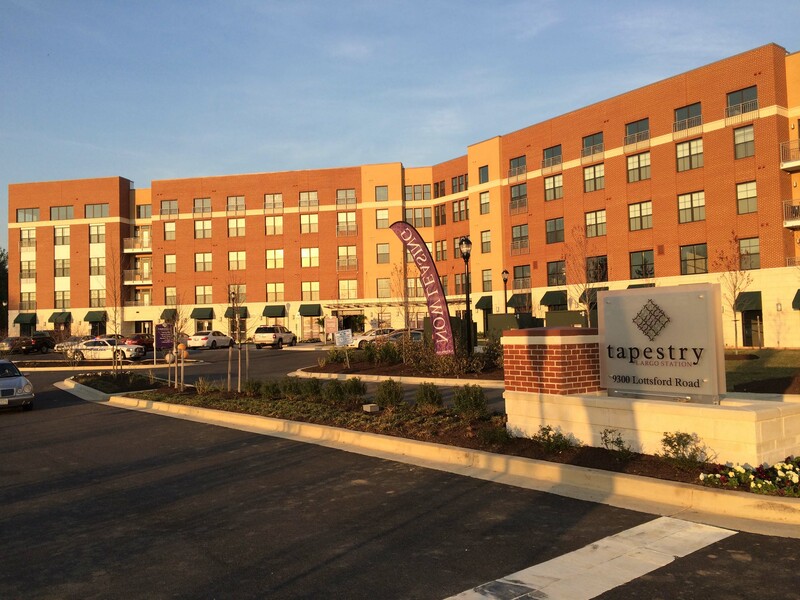 Tapestry Largo Station, opened to residents in June of 2015, is located within walking distance to Largo Town Center and the Largo Town Center blue line metro stop. The development itself also features a state-of-the-art fitness club, pool, indoor basketball court, and billiards club room. The community is managed by Lennar Homes.